L. to R. Cast members Joe Tippit, Cheyenne Neal and Chaeli Spear with theater instructor Mr. Bilyeu. Two other cast members, Brianna Tawil and Graycie Hodges, are not pictured. 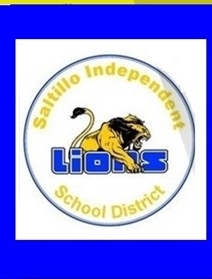 Saltillo ISD Music and Theater teacher Daron Bilyeu is taking five of his drama students to Denison’s Grayson College this weekend to compete in the Area level of One Act Play. The students are quite excited to have done well at Bi-District, earning All-Star Cast and Honorable Mention honors, and they are ready to present their play “The Effect of Gamma Rays on Man In the Moon Marigolds” to the judges. 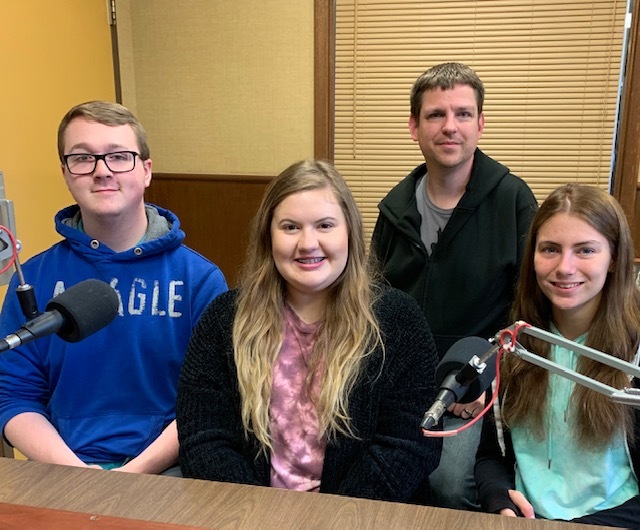 On the KSST Good Morning Show, Bilyeu appeared in an interview with three of the cast members. “The play, set in 1969, is quite dark. The mother in the story is not nice to her two young daughters, nor the elderly woman she cares for. She creates a dysfunctional atmosphere in which the characters must interact.” explained Bilyeu. Cheyenne Neal portrays Beatrice, the sharp-tongued mother of sisters Tillie and Ruth. Chaeli Spear plays Nanny, a dementia patient who is a boarder in the house. Brianna Tawil plays Tillie, and Graycie Hodges portrays Ruth. Joe Tippit is the lighting coordinator for the play. There is one more character, (not pictured) a live pet rabbit called “Peter”, which serves as a security blanket for Tillie. Mr. Bilyeu is quite proud of the quality of work this cast and crew has achieved. They will go up against five other One-Act teams from around the UIL Area. One Act Play is a timed contest, where the entire presentation may last no longer than 40 minutes. Cheyenne Neal is a Junior, is a member of Beta and FCCLA, and is President of the Saltillo FFA Chapter. She plans to go to Texas A and M University-Commerce to pursue a degree in Early Childhood Education. Chaeli Spear is a Junior, and competes in Beta Club, FCCLA and FFA as well as sports. She is on Softball, Track and Cross Country teams. Chaeli plans to go to college and pursue a career involving teaching children. Joe Tippit has been involved in Theater for the past three years, and after graduation plans to go to college at UT Tyler majoring in Writing and Mass Media and then seek a career in Creative Writing. Joe is a Junior at Saltillo ISD and takes part in Beta and FCCLA. Graycie Hodges (not pictured) is a Junior involved in Choir and One Act Play, and she plans to pursue a degree and career as a Pharmacist. Brianna Tawil (not pictured) is a Freshman who participates in Softball and Basketball and FCCLA. She also enjoys Choir and One Act Play. Mr. Daron Bilyeu has been teaching music and theater for the past 11 years at Saltillo ISD.